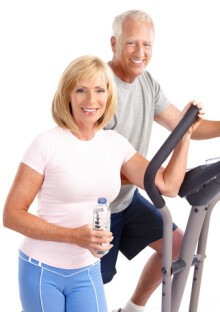 Exercise to Help Decrease Cerebral Blood Flow? Are Your Medications Making You Forgetful? Causing Fuzzy Thinking? Most older adults have some memory slips, but mild cognitive impairment crosses the line from normal lapses into excessive memory changes. MCI is the stage that comes after age-associated memory impairment, and it sometimes—but not always—leads to dementia. In the previous chapter, we looked at the foundational traits that have been shown to be linked with happiness and optimism as well as ways you can cultivate these traits in yourself. In this chapter, we will look at some additional approaches you can use that also promote happiness and well-being. Concentrating better as you learn new information is critical to locking in new memories. But what you do after that can be just as helpful. Short-Term Memory Loss: Part of Aging? Do you feel as if you’ve been experiencing more short-term memory loss lately? Interestingly, what many of us think of as short-term memory—for example, recalling in the afternoon what we had for breakfast that morning—is actually defined by scientists as long-term memory.